St. Martin's Press, 9781250099167, 240pp. As an entrepreneur, Anna Akbari learned that one of the best things about startups is their ability to “pivot” quickly—basically a euphemism for failing and starting over. And she quickly found that personal success is no different. It’s not just about developing and following the right process but also having a good idea. And that demands rigor and daily maintenance—far beyond a few positive affirmations. Like any Silicon Valley startup, the business of life is not as glamorous as its Instagram account would make it seem. Living a start up life is about maximizing flexibility and measuring on-going results, not avoiding failure or reaching one particular end goal. It's about embracing defeat, analyzing it, and failing up. 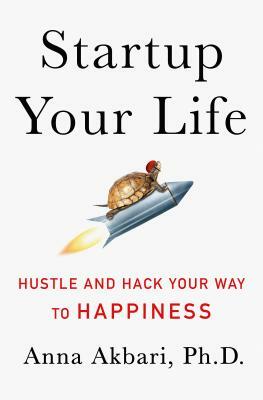 In Startup Your Life, Akbari shows that after all, it's often the stumbles that pave the way for real happiness. ANNA AKBARI is a sociologist, writer, and teacher. She holds a PhD in sociology and has taught at both NYU and Parsons. She regularly writes for The Atlantic, CNN, The Financial Times, New York Observer, DailyWorth, Stylecaster, Above The Law, and The Huffington Post. She is the author of Startup Your Life. "Finally, a book that shows how to make that Silicon Valley magic work – outside of work. Anna Akbari is the perfect guide through our sometimes dizzying present, where the paths to health, wealth, and happiness no longer run straight, and improvisation and iteration rule the day. "—Fran Hauser, Angel Investor and Former President, Digital at Time Inc.